The answer to this question is yes and no, because nothing is like skydiving. Ask a hundred people who have skydived about their experience and you’ll quickly see a trend emerge. 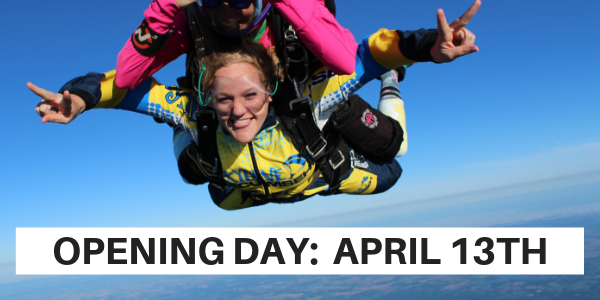 First-time skydivers are awed by how mind-blowing, exhilarating, soul-nourishing, life-changing (no words can capture the feeling) … the act of willingly jumping out of a plane and flying through the air at 120 miles per hour is. It’s blissfully magnificent. There are typically two types of people who decide to jump. Those who have had it on their bucket list for a while and those who yearn for something altogether new to wake them up, shake them up, aid in their healing, or ramp up a celebration. People beginning a new chapter – whether it be divorce, a loss, a diagnosis, a clean bill of health, or the end of an era – find tremendous release, reclamation and renewal from getting sky high. Why, exactly? Two powerful words: Empowerment & Perspective. When you take to the sky and JUMP, belly to the Earth, in complete submission to gravity and surrender to faith, you imprint your psyche with a heaping helping of I CAN. You have taken an enormous leap – literally, spiritually, mentally, emotionally – and now you can give yourself permission to trust in your power, be true to yourself, and soar. To be free. You can do anything you put your mind to. Reclaim your power. Restore your balance. The average skydive, from exiting the aircraft to landing back on terra firma, lasts about 10 minutes. But the positive effects of those mega intense minutes of freefall followed by gloriously peaceful minutes under canopy can last a lifetime. And jumping once means you can jump again – in the literal sense (and lots of people jump again as soon as possible) as well as figuratively. The lessons you harvest during your skydiving experience can be applied to other areas of your life. Journal about your experience, describe it to your closest pal, or better yet get the video so you can relive the feeling again and again. When you jump out of an airplane from 9,000, 14,000 or 18,000 feet above the ground, something deep inside you awakens and suddenly everything is different. You not only accomplish an incredible physical feat, but you bathe your brain in a wash of magical chemicals that allow you reap spiritual and emotional benefits that are difficult to achieve in any other way. Adrenaline, the queen of speed, courses through you as you wait with baited breath to board the plane, on your ride up, up, up to altitude, and when the green light alerts you that it’s time to GO. You feel your courage, feel your strength. You are pure energy. Invincible! As you soar through the air in freefall, serotonin sidles up to adrenaline. Allowing you to bask in the wonder of the big, blue sky and extraordinary vistas all around you. You can feel your significance. You recognize your worth. Cast your burdens to the wind. The world will never be the same. Then your canopy opens, and everything is quiet. Dopamine takes over. You realize the gravity of what you have just accomplished. Breathe; enjoy this moment. Remember every little thing you’re feeling and thinking … and what you’re not. This sense of enrichment, exhilaration, inspiration. Joy. And then you land, and years of wool you didn’t know was clouding your vision is pulled from your eyes and your life is forever changed. If this sounds dramatic, it’s because it is dramatic! Fact is, if your therapist could s/he’d prescribe skydiving. It’s legit good for you. 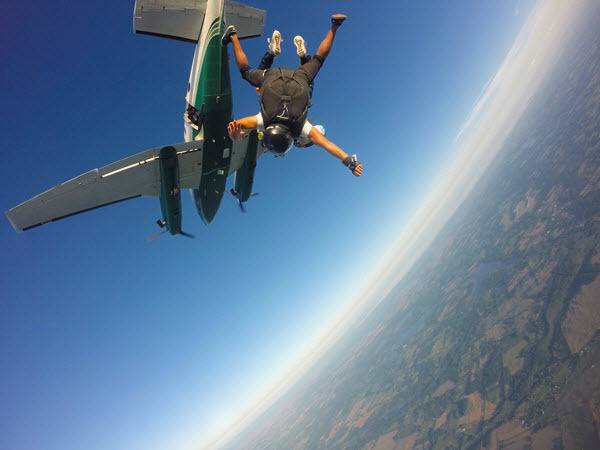 At Skydive Tecumseh, we’ve been helping people make memories to last a lifetime for nearly 55 years. 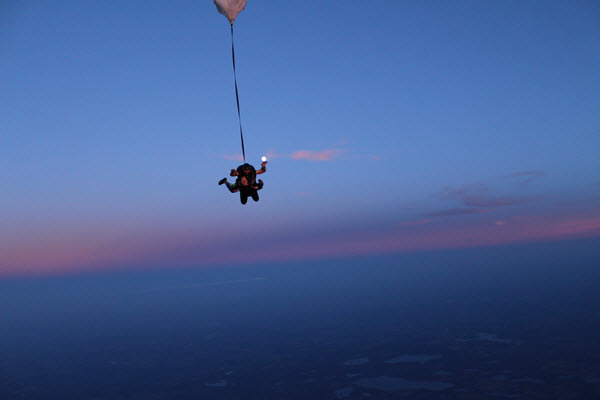 As Michigan’s longest running dropzone, we’ve seen it all. We’d love to support you as you cross the threshold into the next chapter in your personal journey. Come see us and we’ll help you take the leap. Best place to skydive in Michigan hands down!! Super friendly and knowledgeable staff make you feel special, comfortable and safe. Our first tandem experience was incredible!!! Definitely coming back soon and recommend friends to go here!! !